A World Health Organization (WHO) reported that 92 percent of the world’s population live in or are exposed to a place where air quality is so polluted that it surpasses the safe limits for pollution. When we breathe in polluted air, the population can find its way into our bodies and cause health problems, and even worse, lasting diseases. Air pollution has become an increasing issue as medical professionals are recognizing a link between the toxins in pollution and the development of several diseases. Outdoor, as well as indoor air pollution both present there own risks to humans as toxins can be present in both environments and can contribute to progressive symptoms of certain diseases. What diseases are the most prominent when exposed to air pollution and how can you combat pollution in all types of environments? What Causes Air Pollution in Your Home? Think about how you distribute your time from being indoors and outdoors. For many of us, we work indoors throughout the day for a majority of the day limiting our outdoor exposure. 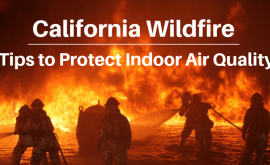 According to the EPA, evidence has indicated that indoor air can be more dangerous to human health than outdoor air, even in the largest most industrialized cities. Americans spend about 90 percent of their time indoors, simply making the risk of indoor air a far superior hazard. Indoor air pollutants can be in masses in your home’s air. When you are exposed to certain types of pollutants during a long period of time health conditions may follow suit. Some common indoor air pollutants in your home can be from carpets, plastic products, glues & adhesives, heating equipment, paints, upholstered furniture and pressed woods. 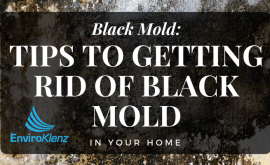 Also, mold could be a big culprit in your home of air pollution and specific different types of mold can severely pollute your indoor air. The air you breathe in every day can have a direct impact on your health, understandably so as there is no avoiding this daily essential task. Pollution can come from a variety of sources whether from indoor pollutants or outdoor pollutants we are bound to be exposed. Scientists have even linked pollutants including nitrogen dioxide and particular matter to suppressed lung growth in kids, those with asthma, heart disease or those with the onset of type 2 diabetes. Though pollution comes from natural sources in your environment, the majority comes from human activity or actions caused by humans. When pollution is released into the environment it damages the natural process in the atmosphere and leads to negative health effects. 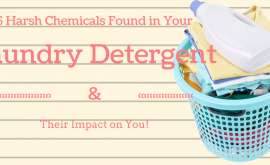 It can cause adverse health effects from nausea, difficulty breathing, and skin irritation, as well as other more concerning health issues. A relationship between air pollution and respiratory diseases has been discovered by researchers as an increase in the risk of developing asthma and other respiratory infections increased when exposed to air pollution. Air Pollution Harmful for Kids? 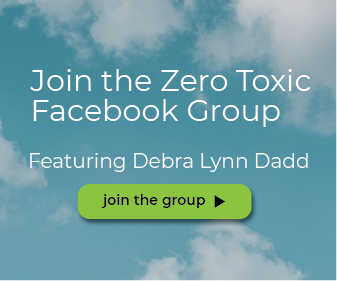 Air pollution can be harmful, especially for kids that are exposed to the toxins and particles in the air. Children are more susceptible to pollution health effects than adults because of a number of reasons. Firstly, children breathe in more air per kilogram of their body weight than adults, meaning the air they breathe in has a higher chance of being compromised by air pollution. Children also are still in the development stages with respect to their lungs, as your lungs develop into your teen years. During this time your lungs are more vulnerable to air pollutants, and the respiratory system will take in more toxins and pollutants and retain them in the body for longer than most people. In turn, this means the pollutants can have an effect on internal organs more severely. The effects of air pollution on our health can be sometimes a long-lasting effect. As diseases caused by air pollution is becoming more prevalent, a fact stated by the National Institue of Environmental Health Sciences (NIEHS). Long-term exposure to pollutants in the air increases one’s risk of respiratory diseases, among others. Over 20 million people in the United States suffer from asthma, with six million children affected by asthma as well. Asthma is a chronic disease of the lungs that is identified by inflammation and closing of the airways which can cause a sensation of tightness in the chest, shortness of breath, wheezing and coughing. Researchers have found that air pollution can worsen asthma symptoms, and maybe the cause of the growing number of people suffering from this condition. Ozone gas is a common outdoor pollutant that can be a trigger of asthma and irritate the lungs or airways. Conversely, air pollutants like dust, smoke, and VOC’s are pollutants in your indoor air that could be affecting your asthma. COPD is another disease that is characterized by the closing of the airways but these changes are permanent rather than a reversible ailment. The main cause of Chronic Obstructive Pulmonary Disease is a long-term exposure to substances like air pollution that irritates and damages the lungs. The two main types of COPD include bronchitis and emphysema that can affect a sufferer. Air pollution can be a detrimental inducer of acute exacerbation of COPD and increase other diseases such as the onset of asthma. When you are exposed to particle pollution, patients with COPD usually have more emergency room visits, hospital admission, or even in the extreme circumstance death. For people with COPD, reducing the exposure to indoor and outdoor air pollutants can reduce the risk of further exacerbated symptoms of COPD. Cystic Fibrosis is a progressive genetic disease that can cause persistent lung infections and diminish the ability to breathe over time. This disease affects as many as 1 in 3,900 live births in the United States and approximately 30,000 children and adults. Cystic Fibrosis can lead to a thick, sticky mucus that clogs the lungs and can block the pancreas. The University of Washington (UW) researchers have shown for the first time that air pollution has negative effects in people with Cystic Fibrosis. This study found a significant relationship between the amount of airborne fine particles of soot and the number of Cystic Fibrosis related lung infections. High levels of air pollution can severely aggravate the development of this disease and should be avoided for those suffering. Particulate matter, especially in your indoor environment has been associated with the development of cardiovascular diseases. The little particulate matter found in your air that pollutes your environment can begin to irritate the lungs and the blood vessels around your heart, which over time can lead to increased issues with your arteries. Those who already have pre-existing cardiovascular problems, mixed with the exposure to air pollution can cause lasting health ailments such as heart disease or even stroke and can lead to a disease caused by air pollution. 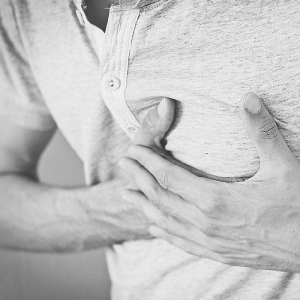 Recently, studies have been conducted in search of the potential connection between heart problems and air quality, and research conducted by the University of Washington for over a decade found that a direct link between air pollution and atherosclerosis, which is a buildup of plaque in the coronary artery that affects the heart. Autism refers to a range of conditions identified by challenges with social skills, repetitive behaviors, speech and nonverbal communication. In recent years, researchers have recognized a potential contributor to Autism, thus being high levels of exposure to air pollution during pregnancy. Specifically, women in their third trimester who are exposed to high levels of fine particulate matter double their risk of having an autistic child than a woman who is exposed to a cleaner, less polluted environment. Research has also strongly suggested that genes and environment can combine to increase the risk of autism. To reduce the risk of in-vitro development of autism, try to minimize your indoor and outdoor exposure to air pollution. It is clear that air pollution, both indoors and outdoors, can be a detriment to your health and lead to lasting health conditions like those listed above. When you are outdoors it can be hard to shield yourself from all the potential pollutants that you are faced with. It may be necessary to wear a breathing mask to remove pollution and VOCs from your air. 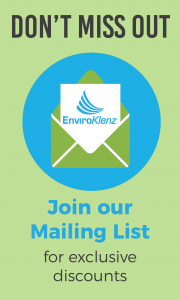 The EnviroKlenz Breathing Mask was designed to minimize exposure to particles and air pollution utilizing a mini air filtration device that covers the most vulnerable parts of your body, your nose, and your mouth. 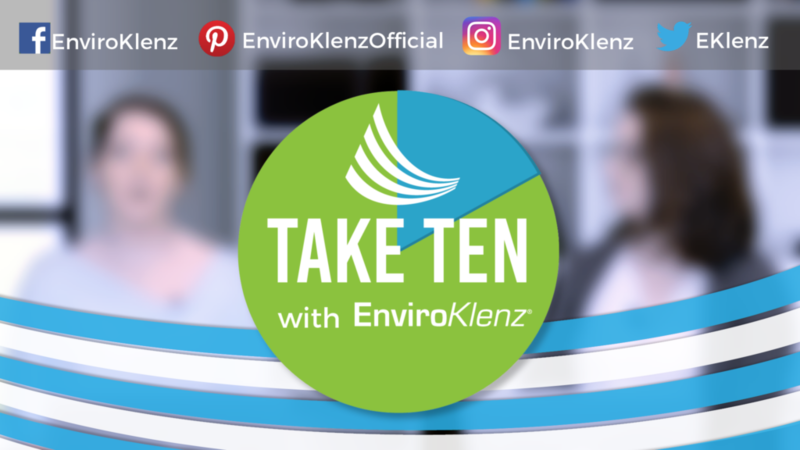 When you are dealing with indoor air pollutants in your home, it can be a difficult task because they can be everywhere, from your air, furniture, and surfaces of your home. The best way to remove and limit air pollutants from all areas of your home is through an air purifier that pulls particles from all surfaces of your home. 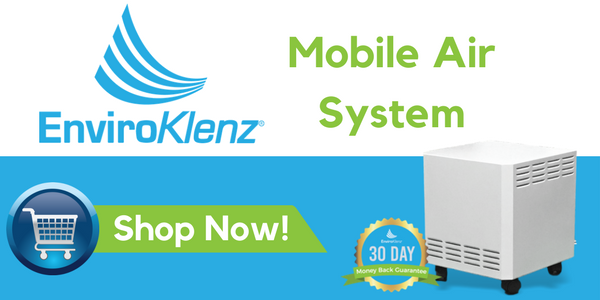 The EnviroKlenz Mobile Air System uses a two-stage filtration with a VOC air cartridge that utilizes our patented earth mineral technology to remove VOCs, chemicals, and odors from your air, as well as a hospital-grade HEPA filter that removes particulate matter like air pollution that can be up to 0.3 microns in size. This system will work to give you an air exchange of up to five exchanges every hour. Being aware of the pollutants in the air that cause our health to be diminished, you can take steps to clean the air you breathe and help to reduce the risks of air pollution-induced diseases.